Perfectly represents the outskirts of central Italy. Born on November 8, 1966 in Rome, Italy Pontecorvo is a cinematographer known for Letters to Juliet (2010), Fading Gigolo (2013) and Game of Thrones (2013). 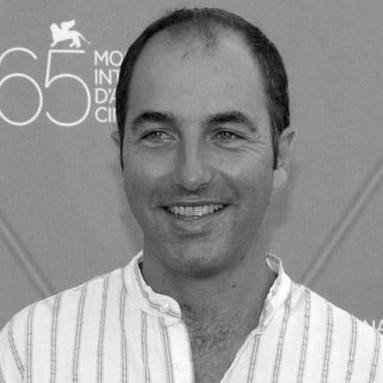 His work as a director includes Scampia’s Gold (LIFF14) and this year’s Partly Cloudy with Sunny Spells. This is a warm-hearted comedy with a conscience which brings forth issues ranging from the clash of generations to the fear of facing new horizons. In a small tranquil town of the Marche region, two friends Ermanno (Pasquale Petrolo, aka Lillo) and Giacomo (Luca Zingaretti, The Immature: The Trip, LIFF2013) find signs of oil in the courtyard of their furniture cooperative which is on the brink of bankruptcy. They are overcome with excitement at the prospect of all that the oil can bring them and the town. Harnessing the help of oil baron Lombelli (John Turturro), they set out to capitalise on the discovery. However, it’s not as easy as it seems, and not everyone sees the oil as a good thing. As the drilling proceeds, turmoil ensues as opposing opinions divide friendships, marriages and the town. As they fumble their way through managing this incredible discovery and its ramifications, Ermanno and Giacomo learn that nothing in this life should be taken for granted, especially not the ones you love.